It is recommended that one should brush their teeth at least twice a day, but many people do it more than the recommended number of times per day – especially after meals, snacks or sugary drinks. Dentists warn that the extra brushing or brushing soon after meals, particularly after drinking acidic beverages, can seriously damage your teeth. The acid burns tooth enamel and dentin, the layer just beneath the enamel. 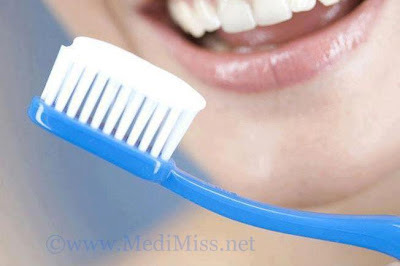 “Brushing can accelerate this process. With brushing after meals, you could actually push acid deeper into the enamel and dentin,” said Dr. Howard R. Gamble, president of the Academy of General Dentistry in an interview with the New York Times, as reported in Dailymail. In the study, a group of volunteers were tested different brushing regimens to examine the impact of brushing on their teeth after they drank diet soda for three months. At the end of the study, the scientists found an increase in dentin loss when brushing within 20 minutes after drinking soda. But there was considerably less wear when brushing took place 30 or 60 minutes afterward. “It can be concluded that for protection of dentin surfaces, at least 30 minutes should elapse before tooth brushing after an erosive attack,” the dentist said. To get rid of acid, Dr. Gamble suggested rinsing the mouth with water or using an acid-neutralising mixture.